This week marks the beginning of college football around the country. 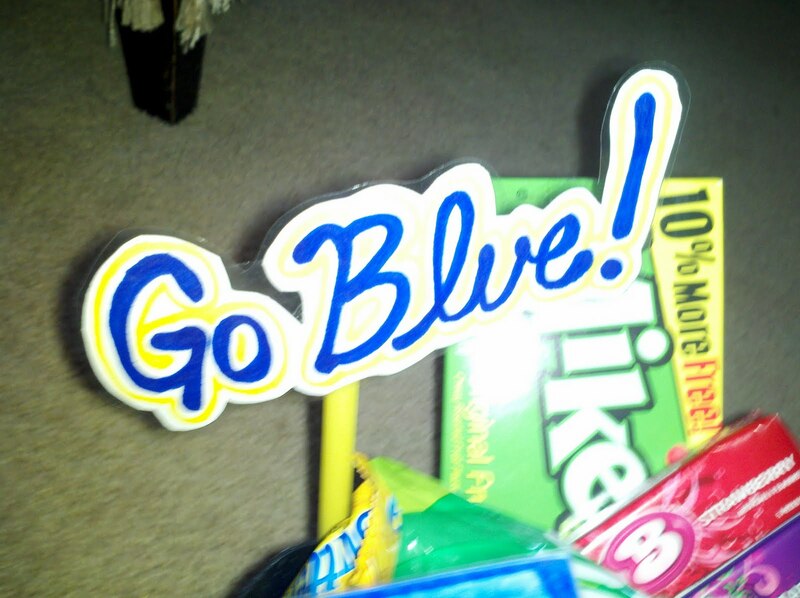 Today is the University of Michigan home opener. My husband, my brother-in-law and myself are heading out to Ann Arbor today to watch the Wolverines take on the Western Michigan Broncos. 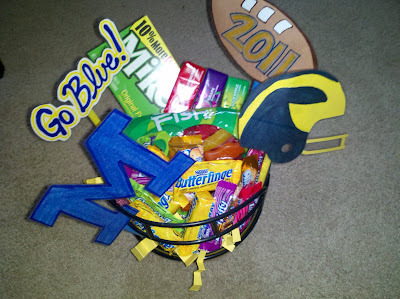 To commemorate the beginning of football season I made my husband a "Go Blue!" 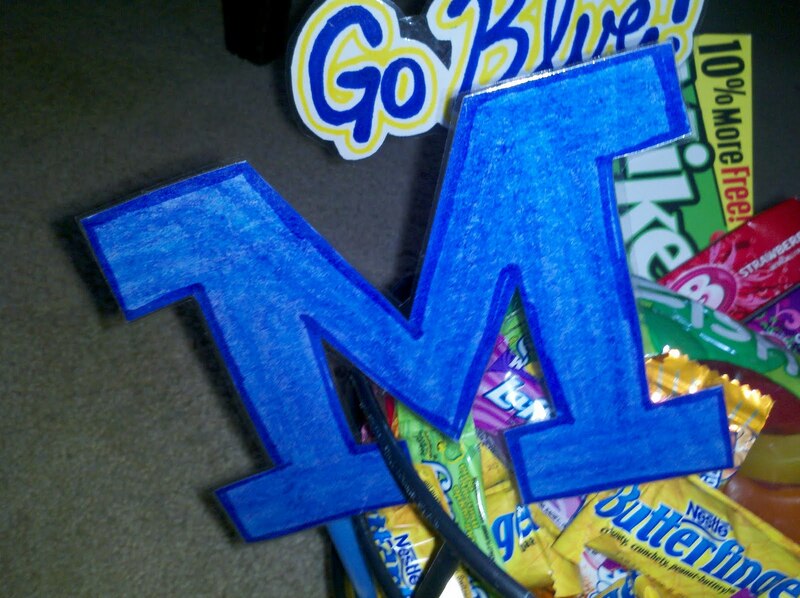 surprise basket. I stopped by Dollar Tree, Kroger, and Value World to pick up materials. I am a *newlywed* mid 20's *kindergarten* teacher who loves *Jesus*!